Royal purple and gold, oval hoop earrings. 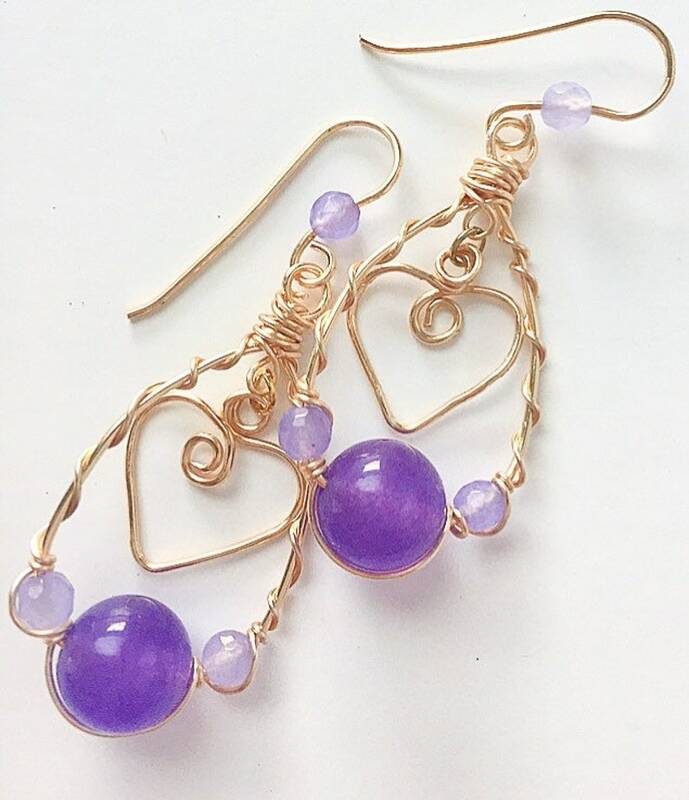 Golden wire with accents of lavender jade and amethyst. The focal is the hand formed heart dangle.